Melissa, Jen and I were invited to take our families to CW Lanes & Games Sunday Family Tailgate event the week before Thanksgiving, for a night of bowling in a private room with football games on the big screen, food, and a tour of the new facility. 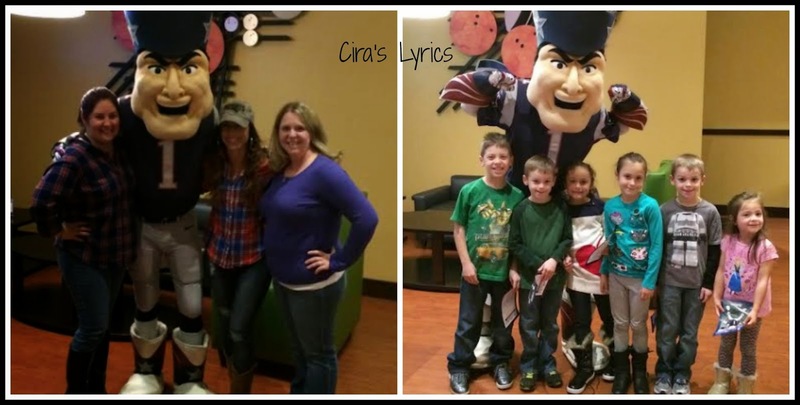 92 Pro FM, Pat the Patriot and some Patriots cheerleaders were also there to help celebrate the night. 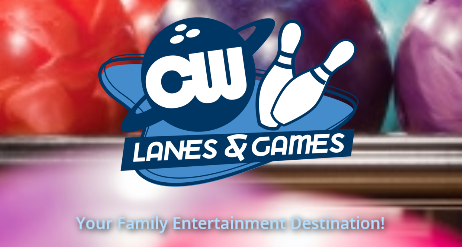 CW Lanes & Games features the CW Bar and Grill, 22 lanes of bowling, Laser Tag, and a huge arcade. Their center opens at 10am daily, with bowling available until midnight on Friday and Saturdays (11pm during the week). 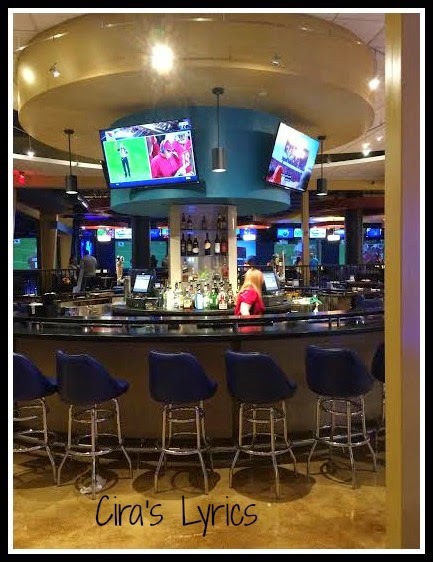 The Bar and Grill opens at 11am daily. We have to talk about the Bar and Grill. The menu? Amazing. We were able to meet Executive Chef Joseph Pestonit. 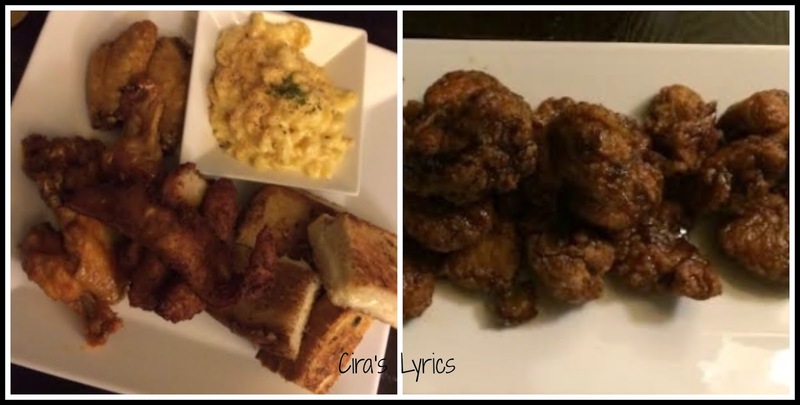 Chef Pestonit has years of experience, training nationwide with a wide variety of cuisines. Selections are cooked to order, using only the freshest ingredients - which is a big deal with this mom. Most impressive is that allergies are no problem at all. The kitchen is not only nut free, but they also have dedicated Gluten Free kitchen space. Before our food was even served, we were asked what allergies our families had. I loved that they were so accommodating. And if you are as obsessed with wings as my boys are, you will be happy to know there are 18 flavors of wing sauces. 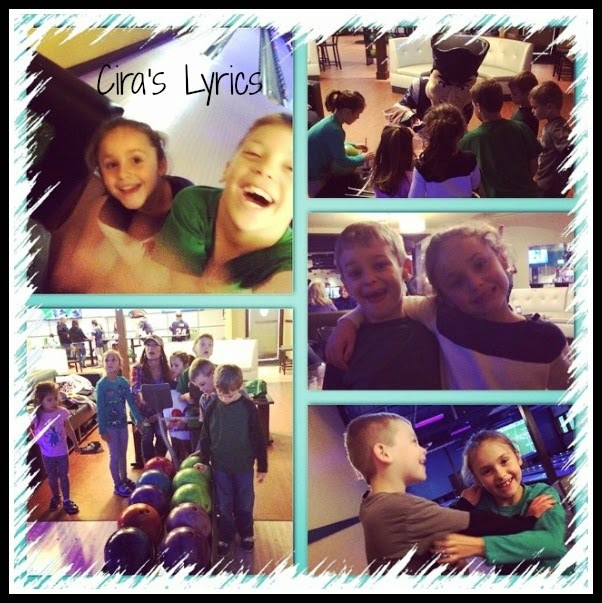 The kids had an absolute blast bowling! Pat the Patriot even bowled with them a few times! It was a really great family activity. Before we were even finished with our game, the kids were all asking when we could come back again. And once the kids realized CW Lanes & Games is available for birthday parties? They were already planning their next birthdays! 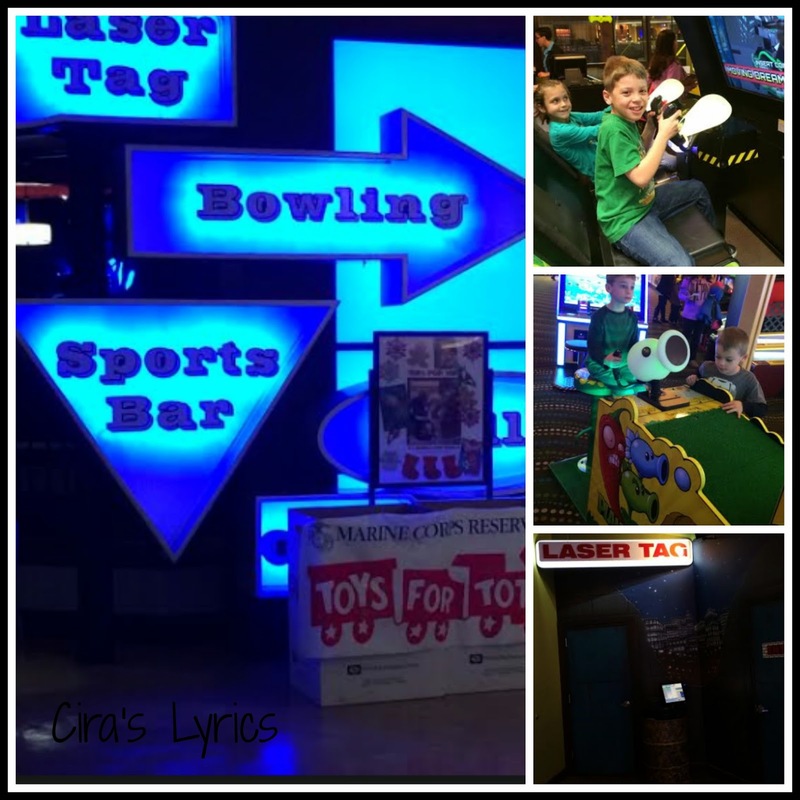 What kid wouldn't want to have a Bowling, Laser Tag and Arcade party all rolled into one! When the game was finished, we checked out the arcade. We didn't get a chance to check out Laser Tag, but it's first on the list for next time. Louboutin Pas Cher Vous êtes maintenant à Louboutin soldes en ligne l'intérieur du corps est à court de exaspérante, vous commencez avec le monde extérieur, il faut ajouter, sinon nous ne pouvions pas pratiquer. Louboutin Pas Cher Oh, cela est ah. vente Louboutin Pas Cher comprendre le général hocha la tête, puis tout à coup réalisé ce rapidement demandé comment Louboutin Pas Cher vous allez être ici, ceci http://www.tangora.fr est mon monde spirituel. Tu ne vas pas à l'intérieur de la pierre encore mort. Pourquoi ici. you spend you time with fun! thanks for this happy moments sharing!